This week Becca challenged us to try out an online clothing rental site. With so many options out there, I saw right away that it would be hard to narrow it to one rental site. However, with a little research and advice from friends, I landed on Le Tote. It was middle of the road on price and seemed pretty straightforward to use. After taking a quick survey I was given a “closet” of items that were matched with me. Some of these were hits and some were misses, but you have the option to switch items out for your final cart—the clothes that are shipped to you. I have to say that shipping took a little longer than I expected, so if you are in a pinch for something to wear this weekend, you may want to look elsewhere. My package arrived in a nice little box that included a personalized pamphlet describing my items, along with the items themselves: two pieces of jewelry and three pieces of clothing. Even though the quality of the clothing was just okay, the fit was spot on! I like the idea of having new pieces delivered to my door each month to freshen up my closet. But at the end of the day, I just prefer to pick out my own clothes, and to have a little more control over that process. Moving forward, I think I will definitely use rental sites for special event outfits, such as dresses for weddings. 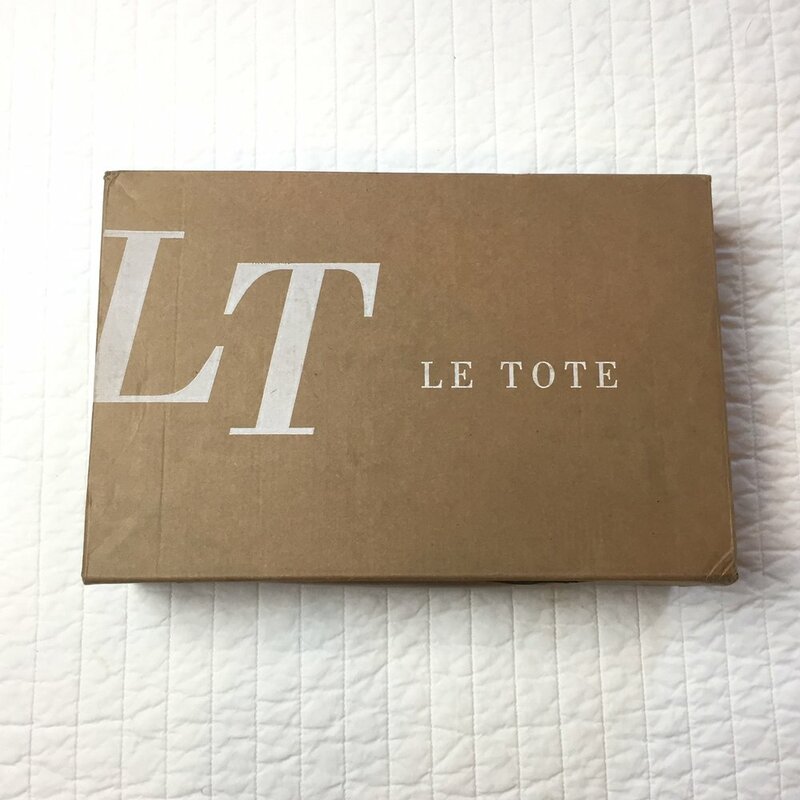 With Le Tote, you also have the option to purchase any of the items from your “closet” at a discounted price. I took advantage of that and bought this grey duster, which makes me feel like a true badass.